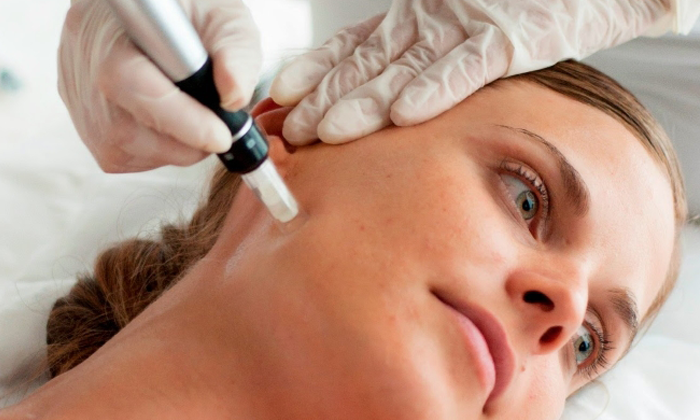 Microneedling is the latest trend in this quest to stay youthful. It’s a procedure that uses special micro derma pen fine needles to puncture the skin and create a controlled skin injury while infusing it with special serums in order to rejuvenate skin. It’s also called skin needling, collagen induction therapy (CIT), and percutaneous collagen induction. The Dermapen used in the treatment minimizes the appearance of stretch marks, acne scars and wrinkles. You will experience redness for approximately 2-3 days.